I haven’t bothered much with cucumbers for a few years, as I think they are more reliable in a green house. I have never really had any kind of spectacular success with outdoor varieties. Since I built my new ‘custom/bespoke’ green house this Spring, I thought I would give cucumbers a good go indoors. I am going to ‘cordon’ them upwards and then horizontally under the roof of the green house along specially placed and spaced strong wires. I am tying them loosely by each node and will pinch out the side shoots soon after they appear. I am feeding them with standard tomato feed. I just hope the pots are big enough! 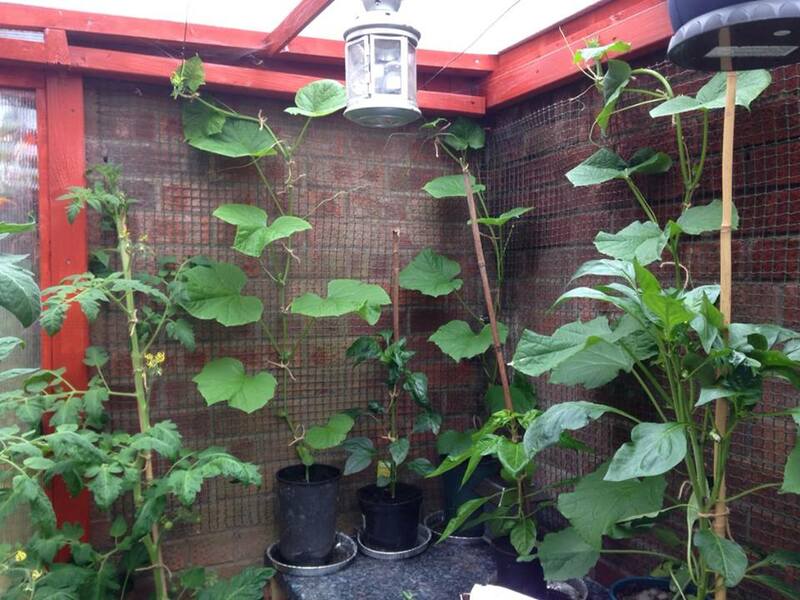 This entry was posted in The 'Urban Farm' and tagged cordon, cucumbers, green, house, indoor, out, pinching, shoots, side. Bookmark the permalink.